Class Photos 1958 - Brighton technical school, Victoria, Australia. 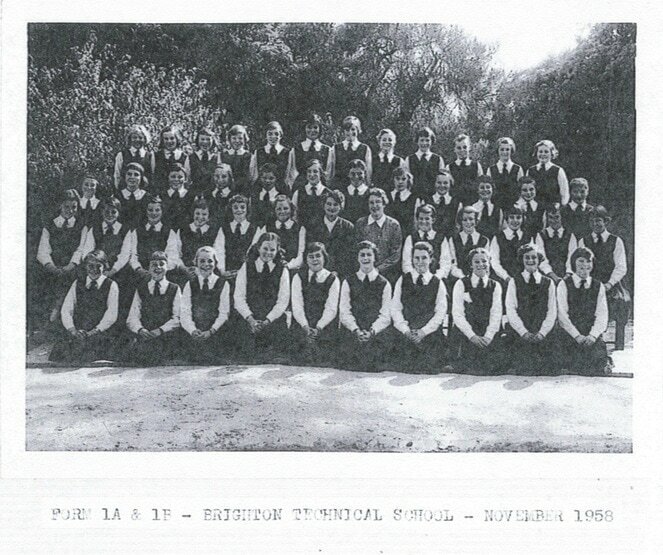 Form 1A and 1B - Brighton Technical School - November 1958. 3rd Row from the front and 4th from the R. Joy Trezise. Back Row, 7th from the R. Souzy Argeres.